Each Quality domain has components that belong to it, listed in the chart above and each component – a Procedure, Service or Product - has a quality cycle of its own. The quality cycle, in the form of a Plan-Do-Check-Act (PDCA) approach is managed by the person responsible for that Procedure, Service or Product. 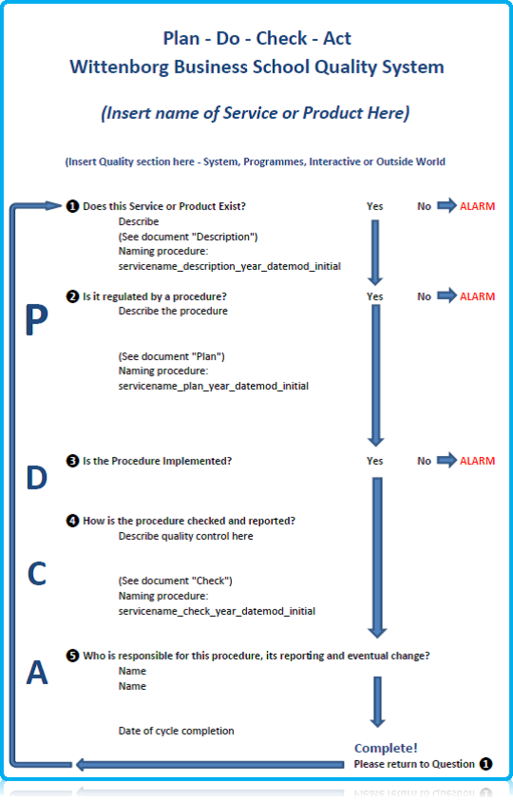 The Quality Cycle is documented in the manner shown by the PDCA chart below.